When Walt Disney World opened in 1971, Orlando began its transformation from “The City Beautiful” to “The Theme Park Capital of the World”. 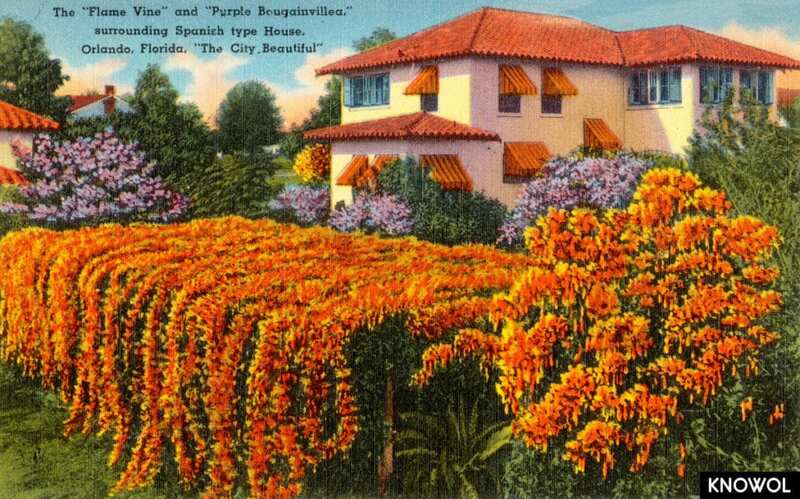 This series of vintage postcards shows Orlando as it looked between 1930 – 1945, when the city had 50,000 residents and Walt Disney had yet to move in. By the time Walt Disney World opened in 1971 Orlando’s population had increased to 522,000 residents, and as of 2017 the city had more than two million residents and 52 million annual visitors. 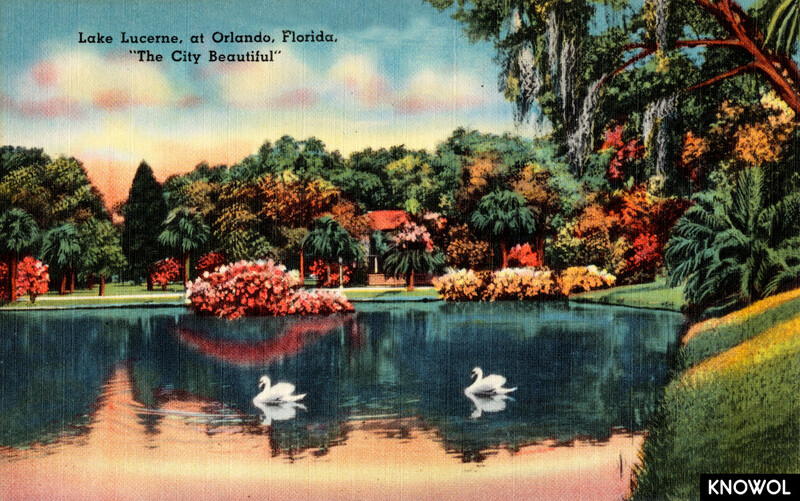 These pictures reveal how Orlando, Florida looked thirty years before a magical mouse made it the most popular vacation destination in the world. 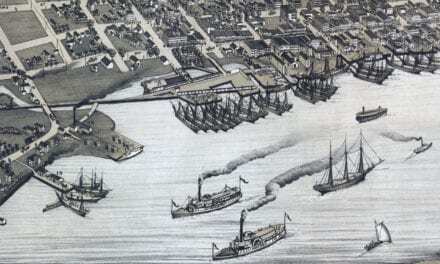 Before Walt Disney World opened the U.S. military was the economic backbone of Orlando. Orlando Air Base and McCoy Air Force Base were the areas primary employers. 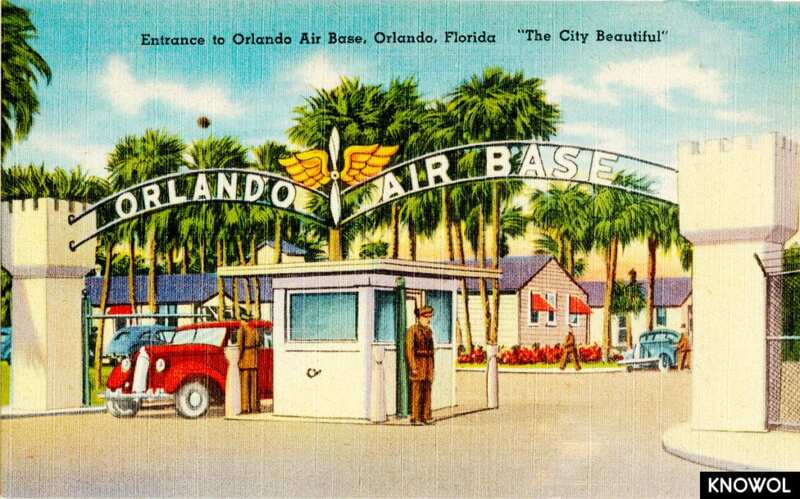 Orlando Air Base was known as the Orlando Municipal Airport until the 1940’s, when it was taken over by the military to be used as an advanced flight training base for the United States Army Air Corps during WWII. After WWII the military returned the runway to the city, and it is now part of the Orlando Executive Airport. The rest of the base remained in use by the military until 1999, serving as the Orlando Air Force Base and the Naval Training Center. 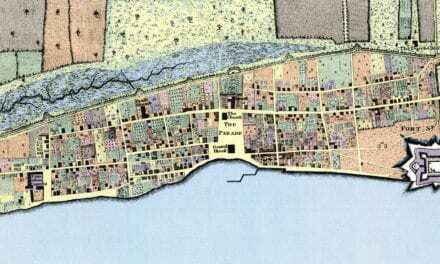 In 1999 the military facility closed for good and the land was sold to the city. 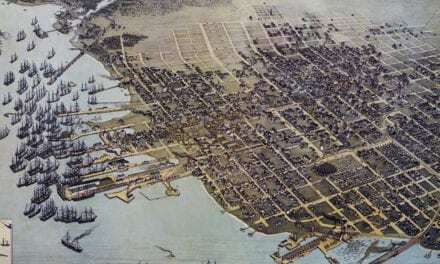 It is now home to Baldwin Park, a neighborhood development. 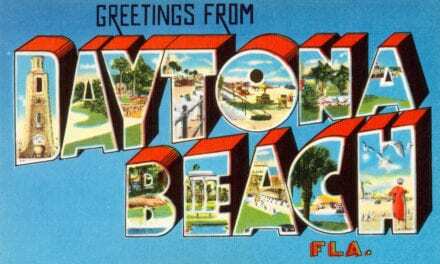 McCoy Air Force Base was also a training base during World War II, and was Orlando’s largest employer until Walt Disney World opened in 1971. After World War II the base became a Front-Line Strategic Air Command base during the Vietnam and Cold War. The base closed in 1975 and was redeveloped into Orlando International Airport. The airport code is still MCO, a holdover from the days of McCoy Air Force Base. 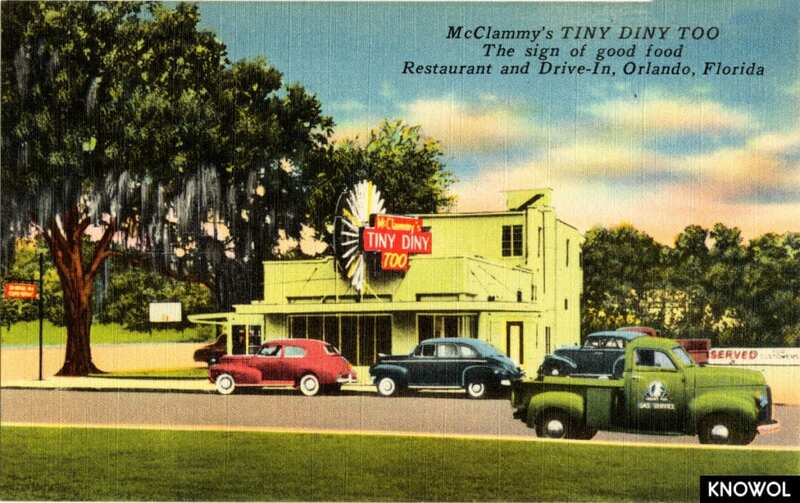 McClammy’s Tiny Diny Too was a restaurant located in Orlando. There is not much information available on the restaurant, but a very popular “Tiny Diny” operated in Mobile, AL for 60+ years serving homemade pies and fried chicken. This image shows Lake Lucerne, a smaller lake in Orlando that was surrounded by residences and home to some of Orlando’s earliest settlers. The lake is thirty-eight feet deep and three quarters of a mile around. Orange County, where Orlando is located, has more than one thousand lakes. It is now The Courtyard at Lake Lucerne, a bed and breakfast. This picture shows a spanish style home in Orlando. “Flamevine” and “Purple Bougainvillea” plants surround the house. Spanish architecture remains popular in Florida. 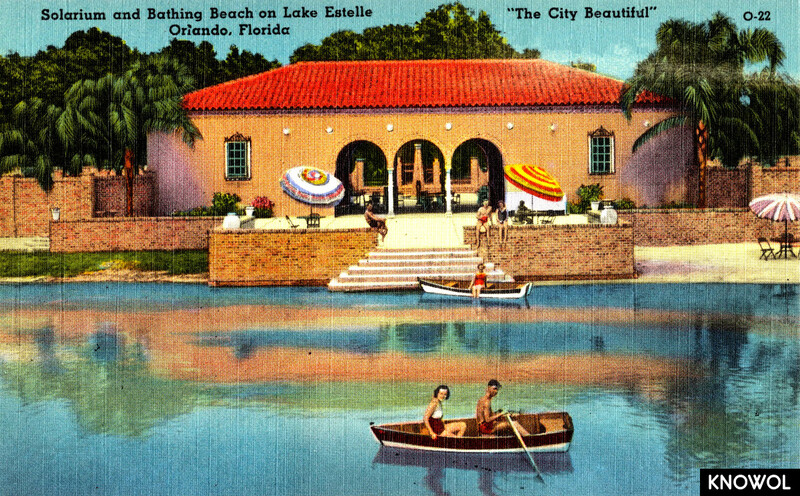 The solarium at Lake Estelle was open from 1934 – 1956. 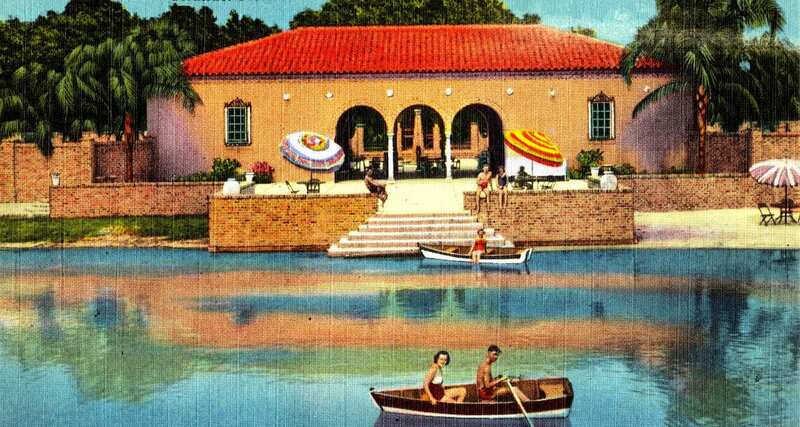 The solarium was originally opened by the Orlando Jaycees, who intended for the area to serve as a bathing beach on the lake. A year later the city built a road in the area, dredging parts of the lake and literally dividing the lake in half with a road. The construction of the road contaminated the water, and the solarium never regained its popularity. W.H. 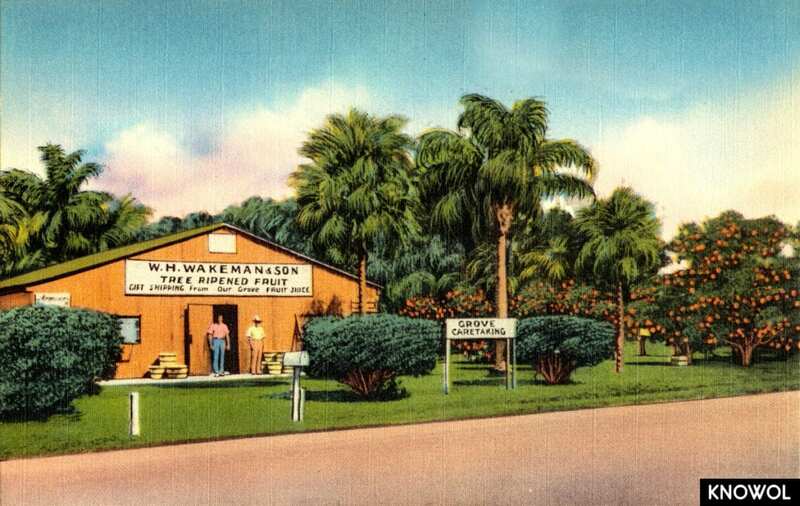 Wakeman and Sun was a tree ripened fruit company. They sold oranges that were picked from the tree when they were ripe and ready to eat, rather than being picked and allowed to ripen on the store shelves. These types of fruit stands were popular in Orlando throughout the 1940’s. 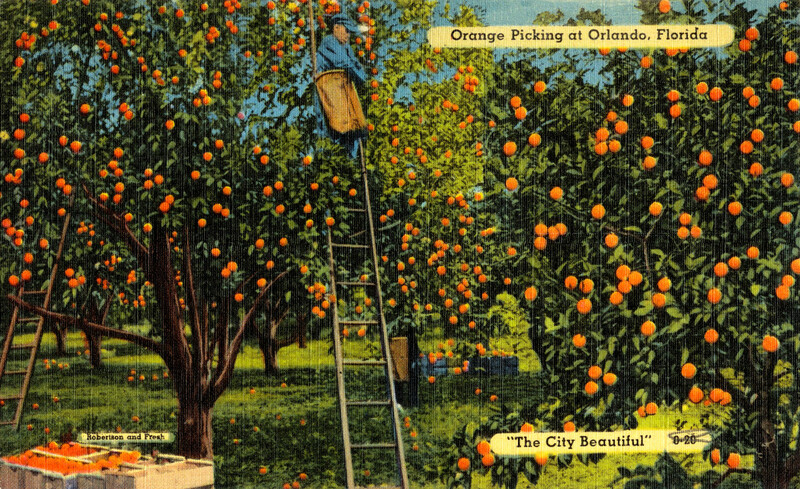 Oranges have been farmed commercially in Florida since the 19th century. Today, Florida Oranges are a multi-billion dollar industry. This picture shows workers picking fresh oranges from an orange mangrove in Orlando. Wigwam Village Hotels were a series of hotel complexes consisting of faux teepees made of stucco and steel. The hotel chain began near Mammoth Cave National Park in Kentucky and expanded to Orlando in the 1940’s. 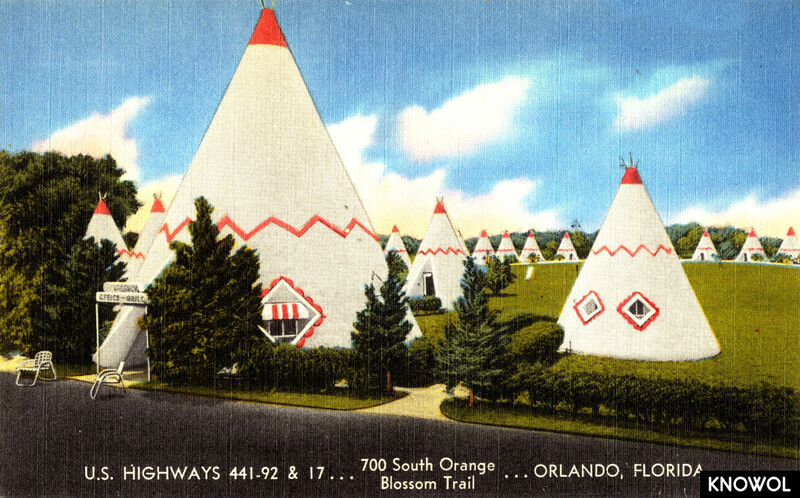 Orlando’s Wigwam Village was the fourth and largest village built. It featured 27 teepees, including a restaurant and front office. 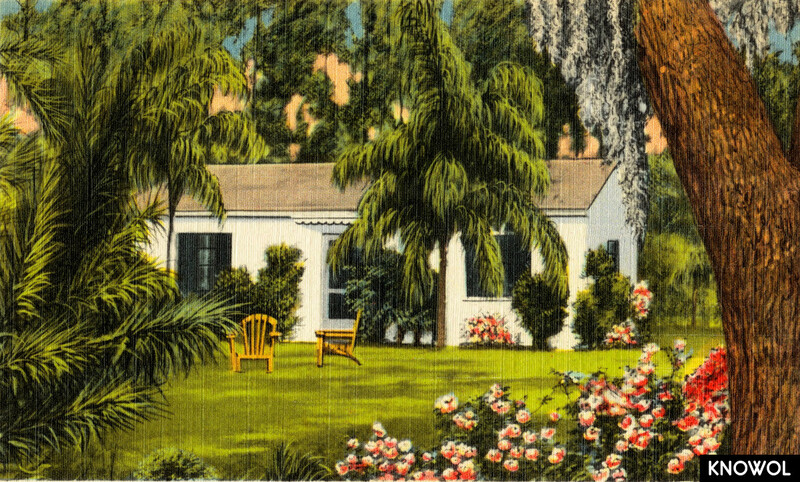 Lakewood Cottages was known as one of Florida’s loveliest smaller hotels. Guests would stay in individual cottages with yards and spaces for relaxation. The hotel was located on North Orange Blossom Trail, U.S. 441, in Orlando. Lake Eola Park is a public park located in Downtown Orlando, with Lake Eola serving as the main attraction. 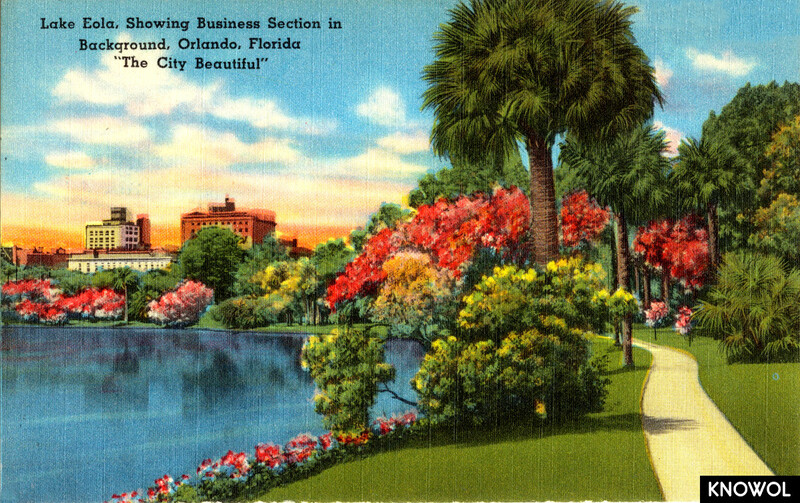 Eola Park was donated to the city by Jacob Summerlin with the contingency that the city beautify the area surrounding the lake and turn it into a public park. The park is still maintained in accordance with the original clause that the park “be kept beautiful”. The fountain is a primary feature of the park, and serves as the unofficial symbol of Orlando.